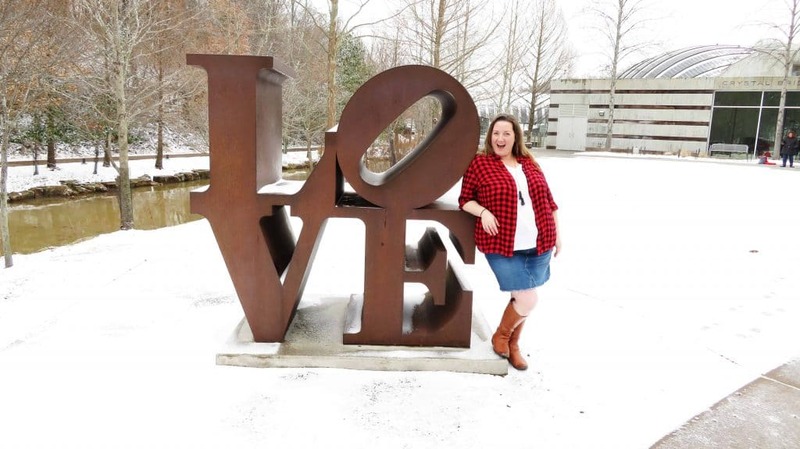 As many of you know, I got back from a visit to the Crystal Bridges Museum in Bentonville, Arkansas last week and my. mind. is. blown. Y'all, it is gorgeous and amazing! I had such a good time touring the museum and seeing works from artists that I've heard about my whole life. Plus, being up close and personal with the actual artwork that most of us have only seen in history books or on TV? My heart is still beating. But, man, I will admit that I spent the entire thinking to myself that I wished my husband and kids and been with me. They would have loved the museum so much and, since Crystal Bridges is SO family friendly, it would have been so easy to have them with me. 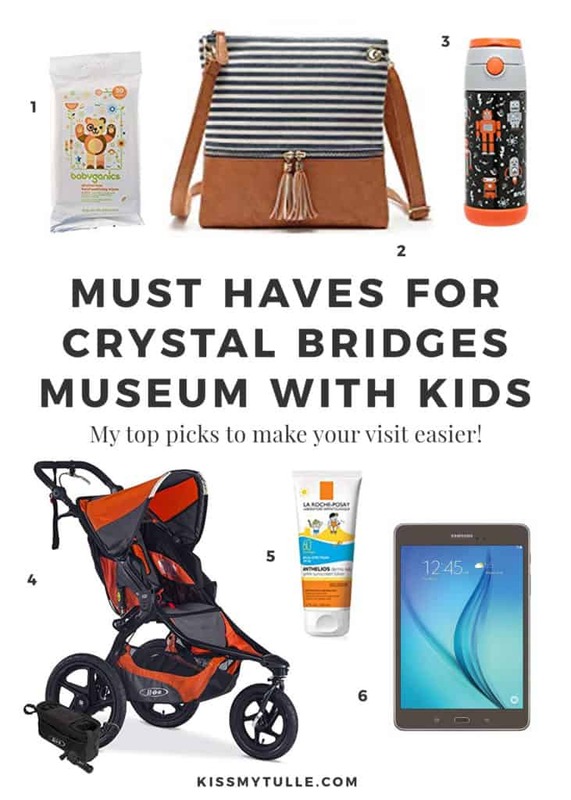 If you're planning a future visit to the museum with your crew, then let me share with you my six must haves when visiting Crystal Bridges Museum with kids. Hand Wipes: Dirt, oils, and debris are a death sentence to art. Yes, I know that you're not going to let your kids touch the art (it's not that kind of museum) but hey, accidents happen. So, I recommend bringing along some of these wipes and taking a moment every now and then to quickly clean little hands. Just in case. A Small Crossbody Bag: So, big bags (like diaper bags, backpacks, and totes) are not allowed in the museum gallery areas. There are free lockers in the downstairs area where you can stash those things. However, you will probably want to keep a couple of items on hand so plan to pack a small crossbody bag for them. Why a crossbody? Because it's customary to wear your bag in front of you when visiting a museum (to avoid backing into or knocking down the art). Water Bottle: Perfect for when you're hanging out in the lobby areas or walking any of the gorgeous nature trails. Food and drink ARE NOT allowed in the galleries and the museum has a great coffee bar and restaurant on site. But! We all know how kids are so bring a water bottle. Stroller: The museum and it's surrounding nature trails are HUGE. While I'm not sure if strollers are allowed on the gallery floors, bringing one to navigate everything from the parking lot, to the lobby areas, to the trails is a good plan. There are roomy elevators and wide hallway with double doors or arches so navigating even a large side-by-side stroller shouldn't be an issue. But yeah, DEFINITELY bring a stroller if you've got very young kids. Sunscreen: You'll want to bring some sunscreen to lather up your kids while walking the nature trails but I also highly recommend putting some on while in the museum itself. Yes, I really do. See, the museum features spectacular architecture with lots and lots of soaring windows and skylights. It allows you to enjoy the calming nature that surrounds the museum but will mean that the more sensitive skinned among us (like my little guy, Finn) will need to wear some sunscreen – just in case. Tablet: Yes, you are there for the art and nature but did you know that the museum has an interactive app? Yep, it does and allows users to enjoy the juxtaposition of mixed medium art with modern technology. There's a 360 VR tour, more information about the artists, and some great history lessons, too. Since kids are so comfortable with using devices, handing them a tablet with the museum's app queued up can actually make your visit more enjoyable.